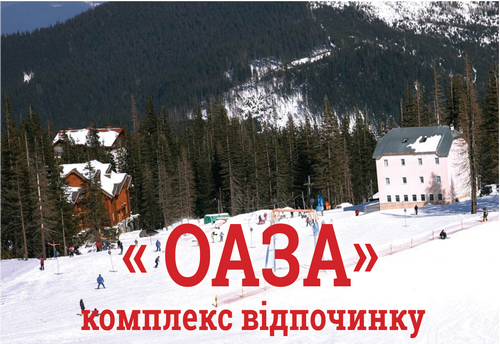 Hotel complex " Green dacia"
The resort Dragobrat represents the highest mountain skiing base in Ukraine, which is located at an altitude of 1400 meters above sea level. Dragobrat is situated at the foot of the mountain Stog near the mountain massif of Bliznitsa mountain. Dragobrat is situated on the border of the zone of Alpine meadows and pine forests. Natural snow cover in Dragobrat in the winter time is formed due to a considerable height, and the unique climate, because this ski resort similar and sometimes even better than Bukovel, and snow in winter can drop to a height of up to 9 meters. Ski resort Dragobrat is made with the help of special snow compactors. Excellent snow cover provides perfect conditions for skiing and snowboarding. Dragobrat is interesting because here are a lot of options for the extreme ski sports. However, it is worth noting that not only in the winter Dragobrat is open for tourists, here also you can go on vacation and in the summer. In the summer here you can spend good time for horse riding, make a walk on a mountain bike or go for one of the many excursions in the mountains or even in the woods. The nature in Dragobrat is of exceptional beauty, the air is pure and clear, and all this in the complex can guarantee excellent mood, energy and a lot of pleasant impressions. As for winter recreation in the Dragobrat, by the quality you can easily compare it with different European ski resorts, because here in winter, one can often meet the guests from abroad. Dragobrat provides maximum of possibilities for comfortable and quality of winter holidays. Stay for a residence can be offered in one of the numerous comfortable hotels, cottages and private houses. Here you will be offered a full range of services for the residents, as well as accompanying services. So, if you don't know where to go on a winter vacation, you can safely stop the choice on Dragobrat - here you will always be treated with hospitality and offered a lot of options for ski mountaineering.